any user of the advertised hearing aid would no longer miss any conversations, when in fact this may depend on a person’s individual circumstances and the nature of his or her hearing impairment. “Many of the pensioners targeted by the advertisements were vulnerable due to their age and hearing loss. The misleading representations by Sonic and Oticon created a false sense of urgency for these consumers to book a hearing test and led them into a sales process based on incorrect information,” ACCC Commissioner Sarah Court said. In addition to paying penalties of $2.5 million, the Court ordered by consent that Sonic and Oticon offer refunds to customers who purchased ConnectLine and SoundGate3 accessories, publish a corrective notice in a nationally circulated newspaper, and establish an Australian Consumer Law compliance program. 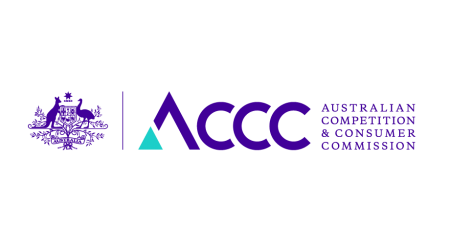 The ACCC instituted proceedings against Sonic and Oticon on 6 September 2018: ACCC takes action against hearing aid retailers for misleading pensioners. Oticon and Sonic, owned and operated by William Demant Holding A/S, operate over 200 hearing clinics across Australia, including under the AudioClinic, HearingLife, Western Hearing Services, and Adelaide Digital Hearing Solutions brands. The misleading ads were published on 85 occasions in newspapers around Australia from June to November 2017 under the AudioClinic and HearingLife brands. Oticon and Sonic sold more than 10 000 of the advertised Oticon Ria2 and Sonic Cheer20 hearing aids. Around 80 per cent of hearing aids supplied in Australia are provided under the Australian Government Hearing Services Program (the Hearing Program). The Hearing Program provides access to subsidised hearing services and devices to eligible persons, such as pensioner concession card holders, veterans, and defence force personnel. Vouchers can be used to obtain fully-subsidised hearing devices, or to cover some of the cost of partially-subsided hearing devices, with the consumer paying the remainder of the cost directly to hearing clinics. The Hearing Program is administered by the Department of Health. Around 300 providers, including Oticon and Sonic, are accredited by the Department of Health to provide hearing devices to voucher holders under the Hearing Program.